Have you ever wondered why pain can affect us on our daily lives physically and emotionally? Why do us humans feel pain after a sudden breakup or when suddenly one of us hits a a body part on a hard object? Why does it exist and what is its purpose? According to NABD, pain is an evolutionary emotion that warns humans about potentially dangerous situations that should not be repeated. In other words, pain is used to signal that a certain behavior is threatening to our well-being. There is a very intricate process involving how our body sends messages to our brain resulting in painful feelings, warning that harm is or could potentially afflict us. There are two types of pain and two ways in which pain is transmitted to our brains through our spinal chord: “the fast way or motorway, and the slow way or side road way.” These pain signals can indicate “acute pain” or “chronic pain”. Chronic pain is usually a prolonged, mild feeling of discomfort while acute is usually a sharper, quick pain that is often harsher in terms of intensity. So if pain is meant to protect us from danger why does emotional pain affect the physical body, generating intense emotions throughout it instead of acute pain? Scientists have found that a specific area of the brain may be responsible for the chest tightening, “stomach dropping” physical sensations that come from emotional pain. 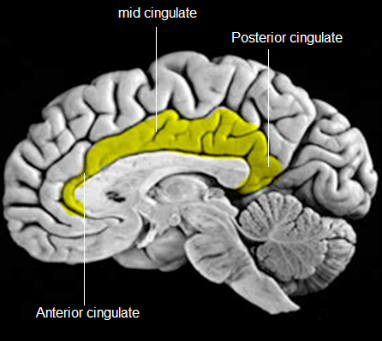 ScientificAmerica states that area of the brain is called the anterior cingulate cortex that is intensely activated when painful emotions arise. 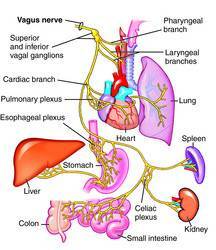 This area, is connected to the vagus nerve which is directly linked to the nerves in the chest and abdominal area. These connections explain why we feel those painful emotions directly on our upper torso, near our chest and abdomen, instead of feeling them like one would if one stabbed their toe or bumped into the corner of a table. So how can we actually control pain and or “stop” it from occurring, now that we know what its purpose and its process is? Well for physical pain the answer is quite simple most of the times. We take anti-inflammatory medication, antibiotics, painkillers, etc. These are very efficient at getting rid of bodily pain associated with disease and injury. However, how can we effectively get rid of emotional pain? While there is no conclusive answer, there are several ways one can try to deal or stop these emotions from continuing. According to Psychcentral, there are 3 steps to dealing with emotional pain: “observing one’s own emotions, validating them and focusing on the present. ” The first step require an unbiased view of your emotions that is free from scrutiny. The second is to accept that you feel those emotions and that most likely they are normal parts of who you are as a human being and then effectively finding solutions for that particular problem that sparked the negative emotion. The last step is to direct your attention towards situations in the present instead of looking at the past, especially if the situation is out of your control. Accepting that not every circumstance can be changed or controlled liberates one from certain negative emotions. Of course, there are thousands of ways to deal with emotional pain, like regular exercise which releases endorphins and chemicals that make one feel positive emotions and relaxation methods, including meditation and yoga that are also responsible for helping release those “feel-good” chemicals in one’s body. So, thankfully, while we know that physical and mental pain protects us from danger, we could protect ourselves from that same pain by using methods such as these. Why do we feel emotional and physical pain and how do we stop them? I found it interesting that you related emotional and physical pain because a lot of times they can be intertwined. Something interesting I learned about in psychology was somatization disorder , which is basically a disorder where there is no physical cause of pain but there are various somatic symptoms. So the fact that there is a disorder that interprets emotional pain into physical pain can only further the idea that these two types of pain are interconnected.